More than 1,500 people attended the annual all-day Garden Expo in Lander in April, the biggest annual event held by the Fremont County University of Wyoming Extension office, in collaboration with the Popo Agie Conservation District. 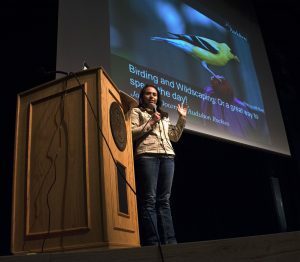 The seventh annual event grew from meager beginnings – weekend workshops. 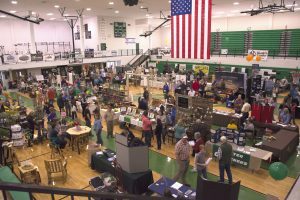 The event has a trade show plus educational presentations by resource experts. 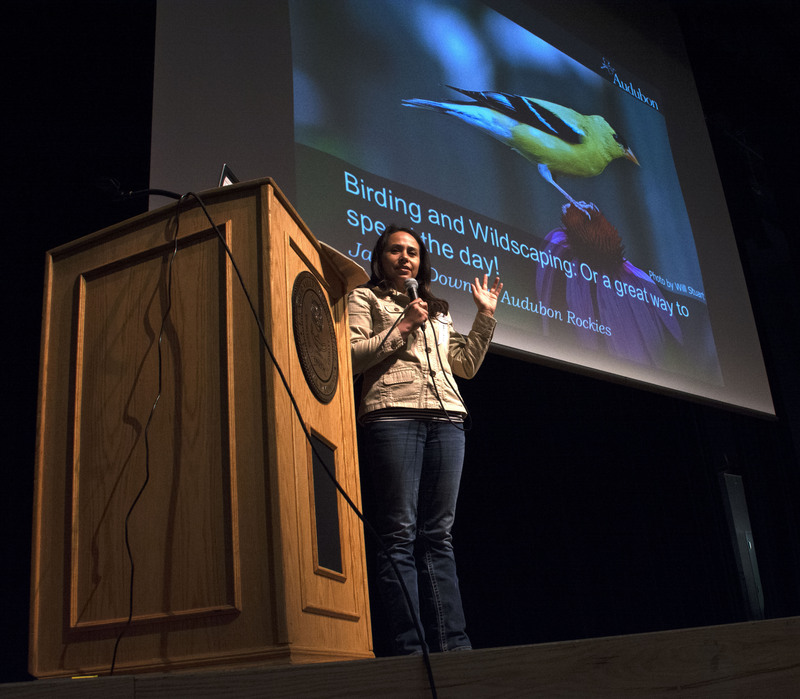 Jacelyn Downey with Audubon Rockies presented bird watching information. 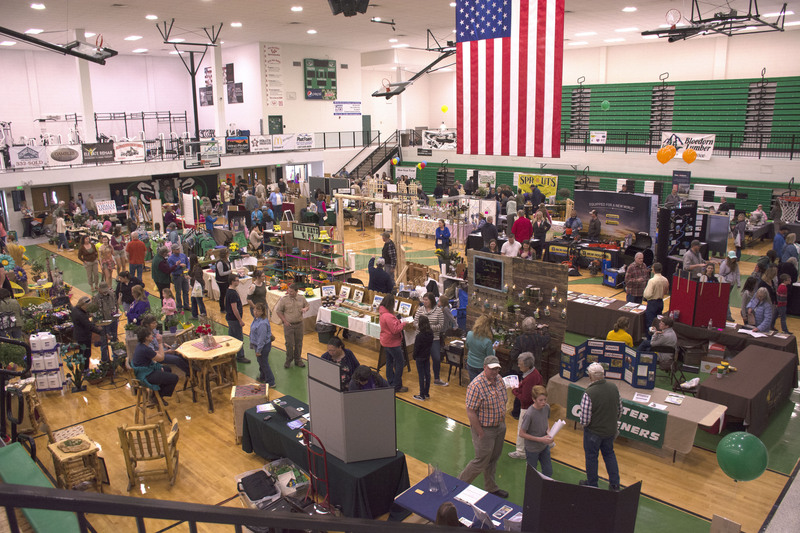 The trade show overflowed from the gymnasium into the area west and south of the school. 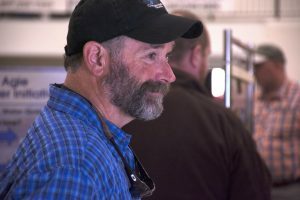 Dave Morneau with the Popo Agie Conservation District helps keynote speaker Marlon Winger with the Natural Resources Conservation District office in Casper. 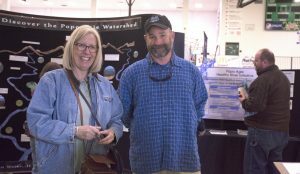 Popo Agie Conservation District board members Jeri Trebelcock, left, and Tim Wilson. 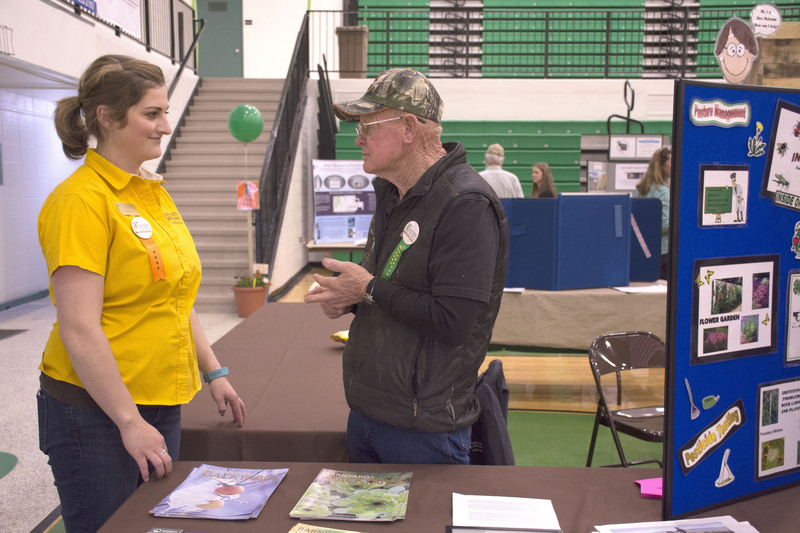 The conservation district and UW Extension collaborate to present the annual expo. 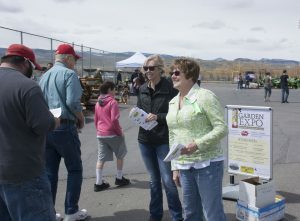 Popo Agie Conservation District rangeland management specialist Mandi Hirsch, left, and Fremont County Master Gardener Marcia Sage welcome and provide brochures. 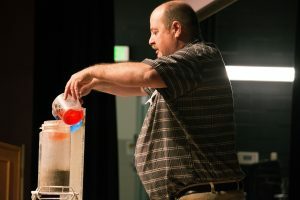 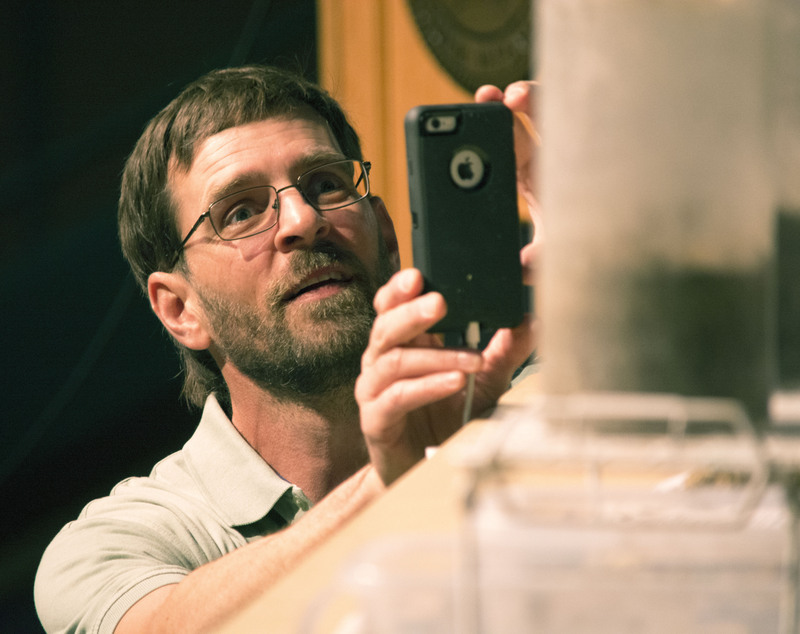 Marlon Winger of the Natural Resources Conservation District office in Casper demonstrates the water absorption rates of soils with organic material and soil without. 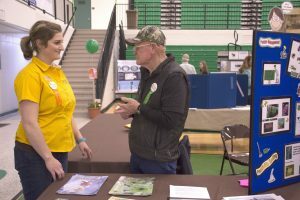 Rachel Fisk of the Fremont County extension office visits with Master Gardener Dave Banks at the extension booth during the trade show. 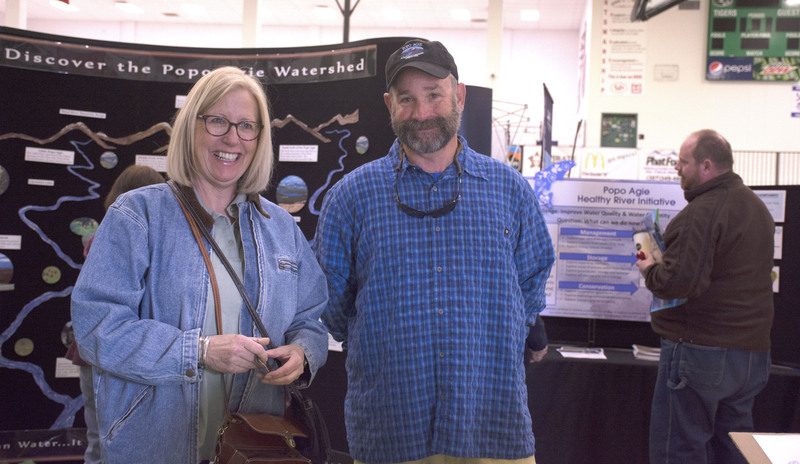 Popo Agie Conservation District Board member Tim Wilson greets visitors at the district’s booth during the trade show.